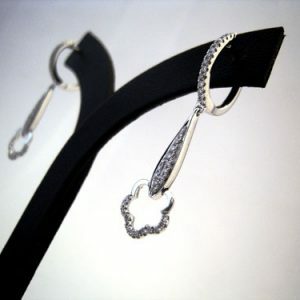 A pair of 18ct white gold peridot and diamond drop earrings with stud fittings. 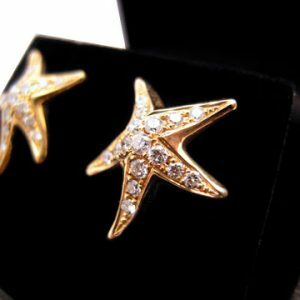 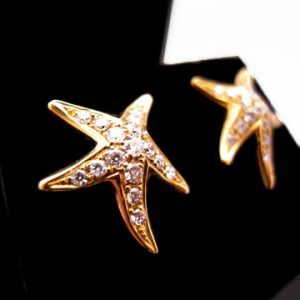 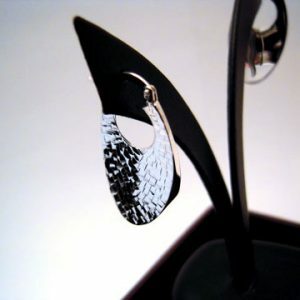 A pair of diamond set 18ct yellow gold ‘starfish’ design earrings. 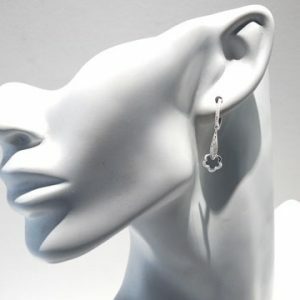 A pair of 18ct white gold elongated diamond drop earrings decorated with a diamond set flower shape. 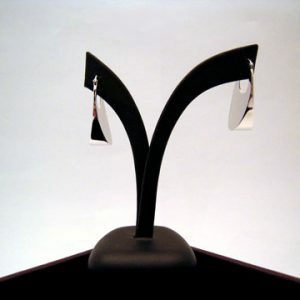 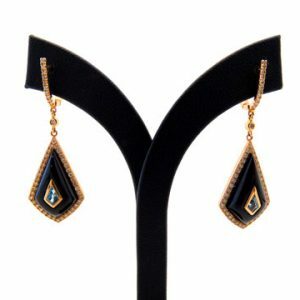 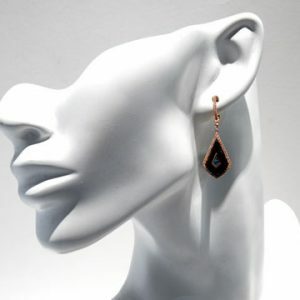 A pair of 9ct rose gold diamond, onyx and blue topaz set drop earrings.